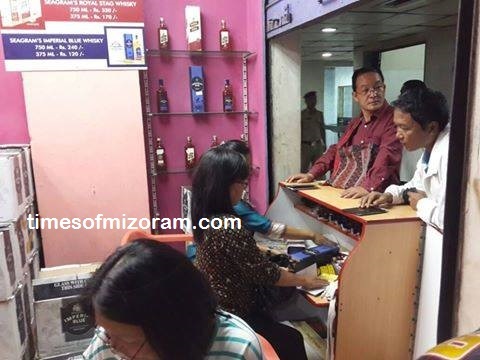 AIZAWL, Jan 17: The newly installed Mizo National Front Government’s (MNF’s) move to impose prohibition in Mizoram has forced liquor vendors and bonded warehouse owners to go to court, seeking time to clear their stocks before prohibition. The MNF, which had promised to impose prohibition in order to appease the powerful church, declared dry days from December 21, 2018 to January 14, 2019. This declaration of prolonged dry days was the first thing that the Zoramthanga Government, inducted on December 15, did. As the dry days have since been extended from January 14 to March 10, it has become clear that the Zoramthanga Government has no intention to give time for stock clearance. By Marchend, the new Government will hold the Assembly Session in which a new legislation is likely to be passed for prohibition. Owners of the three bonded warehouses have separately filed petitions, whereas the vendors filed a petition together at the Aizawl Bench of the Gauhati High Court today. They were represented by four senior advocates. The High Court admitted the petition and fixed January 22 for hearing. One of the vendors, Francis Sailo, said there are liquor stocks worth more than Rs 40 crore in the bonded warehouses. A woman warehouse owner, who did not wish to be named, said she is facing the possibility of bankruptcy. “I took a loan to start the warehouse about two years back. If the Government does not give me time to clear my stocks, I will be bankrupt as I won’t be able to repay the loan,” she said. The woman in question has 100 permits for which she has already paid taxes, which means that 100 more truckloads of liquor are still to arrive. The Government has not stopped entry of liquor for which the warehouse owners have already placed orders. “Truckloads of liquor arrive everyday, but there is no outlet which means that we are running into losses,” she said. Both the vendors and warehouse owners still have to pay rent, electricity bills and salaries for staff and private security. “We lose around Rs 3 to Rs 4 lakh every day,” said a vendor. The liquor vendors and warehouse owners said they had met the State Excise and Narcotics Minister and Chief Minister Zoramthanga, but had very little hope for ‘exit protocol’. “Going by the words of Chief Minister Zoramthanga, we may not be given time for stock clearance. We have imported liquor legally. But when the Government imposes prohibition, our business will become illegitimate. We do not know if the Government is going to compensate us. But a sum of Rs 40 crore is a huge amount even for the Government to compensate,” they pointed out.